Kaja Beauty’s Bento Bouncy Shimmer Eyesahdow Trio ($21; sephora.com) is a tiny little curated eyeshadow trio with a gorgeous, bouncy, soft texture for something that is so shimmer packed. The texture is smooth, soft and blendable without too much grit from the shimmer. The pigmentation is sheer-medium, buildabe and very wearable for something with so much shimmer. I love sheer washes of these, but if you prefer a much more foiled look, use a flat brush and pack these on top of a good primer. I prefer using my fingers. The Orange Blossom Trio is tones of gold and bronze, perfect for layering on top of neutrals for a pop. Rose Water is a more of a rosy, plum tone and looks flattering on almost all skin tones. I love the color coordinated packaging and how easy the petite sizes are to travel with! 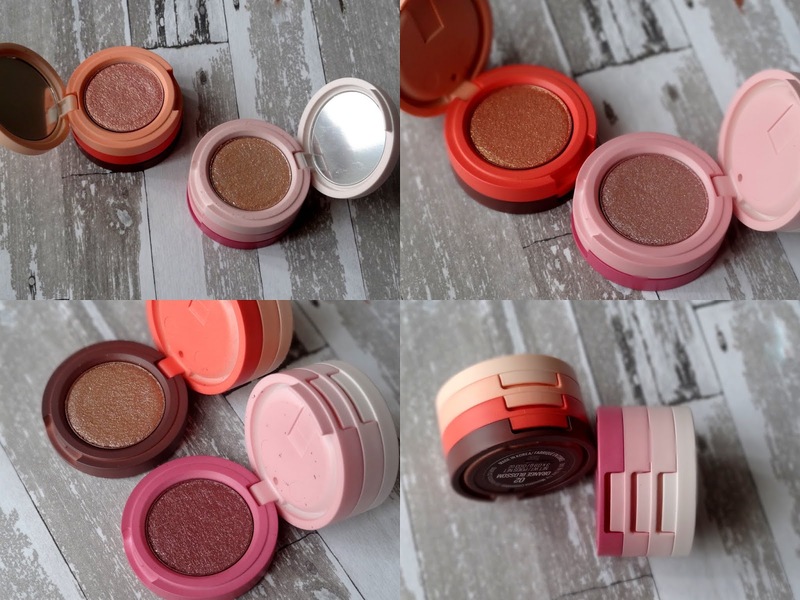 If you love a good shimmery eyeshadow that doesn't have too much fallout, do check these out!